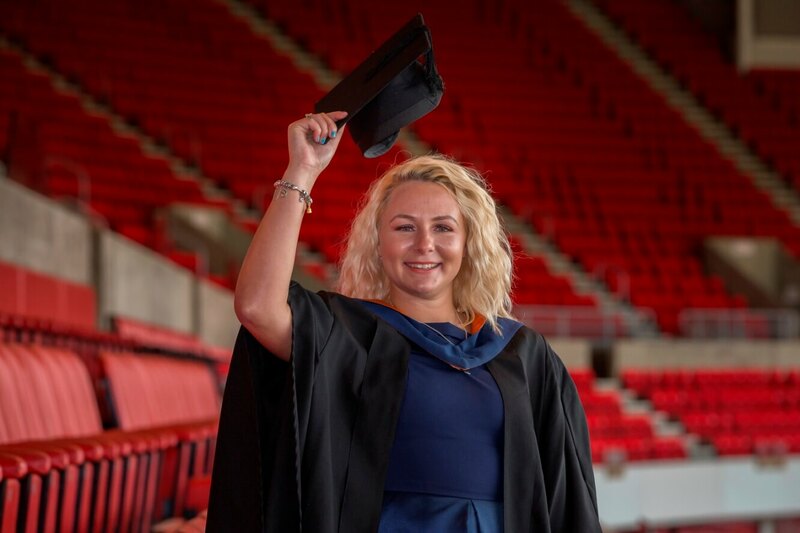 In the fiercely tribal world of North East football it’s virtually unheard of for a Sunderland fan to put on the black and white strip of Newcastle United – but that’s exactly what proud Mackem Emily Neal did, and this week she stepped back onto the hallowed turf of the Stadium of Light to collect her degree. Sadly Emily’s dad passed away when she was 18, so never got to see her play professionally, or collect her degree in BSc Sports Coaching. But, Emily explains, it is her dad’s enthusiasm and love for the game - and for her - that has driven her to study hard, and take every opportunity – even if those opportunities haven’t quite led where she expected. “My dad is definitely who inspired me to go back into education and into coaching football. He is also what motivated me to do well with my football. Emily has real football pedigree – her grandfather, John Neal, played seven seasons for Hull City, and was manager of Wrexham from 1968 to 1977. He succeeded Jack Charlton as manager of Middlesbrough, and managed Chelsea from 1981 until his retirement in 1985. Now Emily is returning to Newcastle United WFC for the 2017-18 season playing centre back, and is hoping to pursue a career in Sports Development. With her family background, and her commitment to the sport she loves, she’s sure to do her family, her city and her region, proud.